The Weavers’ Guild of Rochester is a nonprofit organization whose roots go back to 1946. Members come from across Rochester and the Genesee Region of New York. We gather to promote our craft, to educate others and provide a welcoming place for fiber enthusiasts. 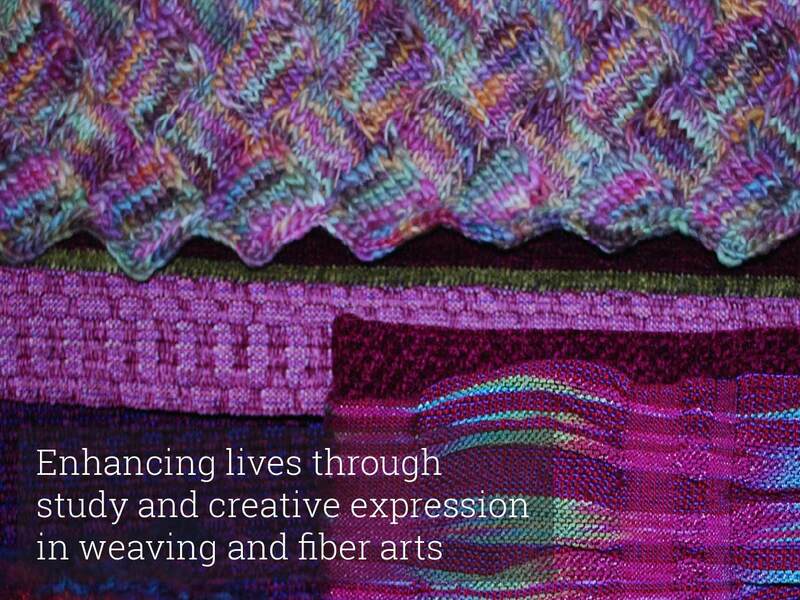 We embrace the diversity of tradition while encouraging innovation in the fiber arts. The Center is a unique learning place in the region. Our studio classrooms are available for adults and youth who register to learn to knit, weave, spin, felt and more. Our instructors bring a breadth of expertise and share that talent with students. Learning is the heart and soul of the Guild. The Center is the best articulation of our mission. The Guild offers a monthly lecture program that highlights an artist or a topic. Workshops are held 2 or 3 times a year for in-depth study on techniques that stimulate the creative work of our members. An evening meeting each month focuses on a fiber art topic and expands our time together. The Guild sponsors an annual sale of hand-made goods in early November. Members offer hats, scarves, wearable art, jewelry, household goods and fine crafts for sale. There are also “hands on” opportunities in the demonstration room. Come to buy or learn about fiber arts and the Guild. April 15 • Monday, 6:30 p.m.
May 8 • Wednesday, 9:30 a.m.
May 13 • Monday, 6:00 p.m.
Sign up to receive updates about course offerings at the Center and a reminder of our ,annual sale.